Today sees the announcement of the shortlist for the Next Green Car Awards 2015, which recognises the UK’s best green cars for 2015 and 2016. 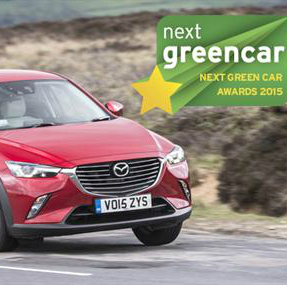 From the shortlist featuring 44 different models competing across 10 categories, the winners of the Next Green Car Awards 2015 will be announced on Tuesday 24th November. As the UK’s No.1 green car website, Next Green Car has drawn up a shortlist of the highest-quality low-emission new cars which have been launched in 2015. To qualify, models must be commercially available to purchase or order during the year. The ‘Next Gen’ Award also highlights innovative models planned for launch in 2016. Selection is driven by Next Green Car’s unique NGC Rating which rates the environmental impact of all new cars on the market. This is considered alongside other factors including capability, suitability for purpose, impact on its sector and value for money to decide which models are shortlisted for an award.